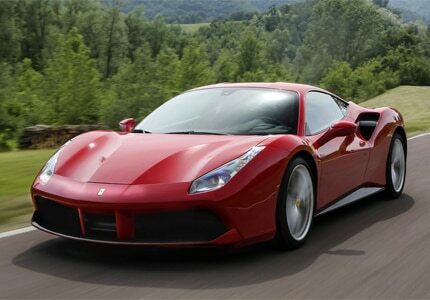 This successor to Ferrari's classic 458 Italia is a smaller, turbocharged V8. But don't let that fool you. The completely redesigned Ferrari 488 GTB is powered by an F154 engine, making it one smooth ride.